By now we are all too familiar with the refrains resounding from the American mainstream media that celebrated prematurely the inevitable landslide victory of Hillary Clinton over Donald Trump. One of my favorites was from CNN’s Fareed Zakaria, who predicted confidently a few weeks prior to the election that Trump would lose the election and the Republican Party would be destroyed. Zakaria went on to morally denounce what he called ‘white America’ and their support of ending mass immigration and preserving America’s Christian heritage. Along with such ridicule and denunciation were comparably disparaging remarks about the so-called Religious Right throughout the mainstream media. Headlines before the election such as “How the religious right embraced Trump and lost its moral authority,” “Donald Trump made the Religious Right implode in less than a week,” and “The Religious Right’s Devotion to Donald Trump will End the Movement as We Know It,” confidently and all-too gleefully asserted the death of the defenders of traditional moral values with the demise of Trump’s candidacy. The irony of course is that the electoral results on November 8 served as the occasion for the humiliation of these prognosticators and pundits. Far from imploding, the Religious Right made up over 30 percent of the voting electorate. According to the Pew Research organization, white evangelical Christians voted for Trump by an utterly overwhelming margin, 81 percent to Clinton’s 16 percent. And Catholic voters, too, supported Trump over Clinton by a 23-point margin, 60 percent to 37 percent. What accounts for the media’s fallacious and erroneous coverage? Among many other things, the media largely failed to recognize that Trump and the Christian Right faced a common enemy: globalists and globalization. 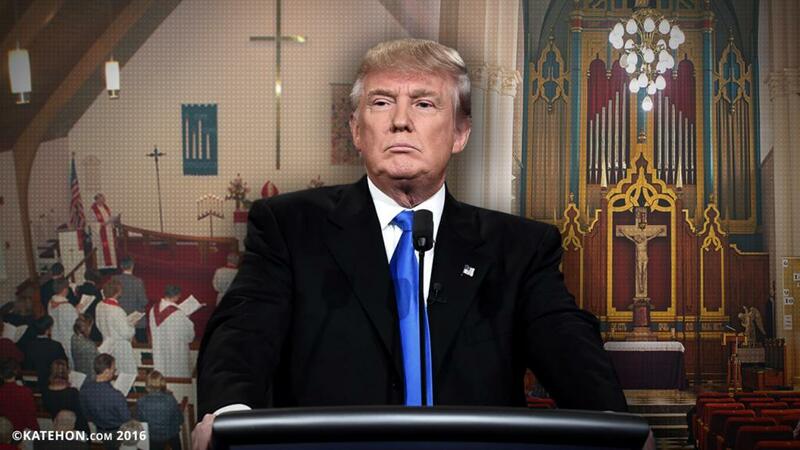 Thus, while the media were fixated on the discrepancy between the traditional values of conservative Christians and Trump’s moral indiscretions, they overlooked the common globalizing concerns that both traditionalists and Trump shared. Globalization is characterized as a worldwide social and economic system comprised of a capitalist economy, telecommunications, technology, and mass urbanization. It has been argued that such economic and technological dynamics have the power to arrest control of national economies away from totalitarian projects such as the former Soviet Union and communist China while simultaneously expanding economic growth and prominence among capitalistic nations. However, what is crucial to understand is that built into globalization processes is what Anthony Giddens terms detraditionalization, or various mechanisms by which local customs and traditions are relativized to wider economic, scientific, and technocratic forces. Once social life is caught up in a global industrialized economic system, it is propelled away from traditional, national, and local practices and beliefs. In the shadow of globalized transnational policies, traditional moral codes and customs become increasingly implausible to objectively sustain. Thus, globalized societies tend to forge a new conception of the human person as a sovereign individual who exercises control over his or her own life circumstances. Traditional social structures and arrangements are generally fixed in terms of key identity markers such as gender, sexual orientation, and religious affiliation. But globalized societies, because of the wide array of consumer-based options, see this fixedness as restrictive. And so traditional morals and customs tend to give way to what are called lifestyle values. Lifestyle values operate according to a plurality of what sociologist Peter Berger defines as ‘life-worlds,’ wherein each individual practices whatever belief system deemed most plausible by him or her. These belief systems include everything from religious identity to gender identity. Allan C. Carlson, also of the Howard Center, observed: “[T]he new global civilization … is militantly secular, ferociously anti-traditional, fundamentally hostile to autonomous families, the enemy of robust marital fertility, and a threat to the newly conceived child everywhere … including the new Christian child.” Religious Right activism has thus increasingly considered globalists and globalization as the primary threats to traditional values. The involvement of Christian organizations such as Focus on the Family, Family Research Council, and Concerned Women for America in various United Nations policy disputes demonstrates that the international arena has become integral to the mission of the Christian Right. Austin Ruse, president of the Catholic Family and Human Rights Institute, summarized Christian Right international activism as focused on defending and perpetuating what he calls the “three sovereignties” that are under attack: nation, church, and family. With his emphasis on nationalism, protection of Christians, and promise of appointing pro-life judges, Trump’s campaign represented a mutual defense of these three sovereignties, making his candidacy a natural attraction for proponents of traditional values. The contempt that America’s secular elite has for traditional moral values seems to have blinded them to the fact that, for tens of millions of citizens worldwide, nationhood, tradition, and religion really do matter. For over a century, secularization theory has postulated that traditional religions would slowly but surely die out, having been replaced by a scientifically-inspired worldview perpetuated by unbridled technological progress. The march of globalization around the world seemed to verify such a prognosis. And yet, all throughout the world, there has been a massive blowback against these secularizing globalist dynamics. The resurgence of the Russian Orthodox Church, Christian nationalism in Hungary and Croatia, the rise of the nationalist political parties in Western Europe, and the astounding Brexit victory, all signify that traditionalist culture matters as much today as ever. The disdain and derision with which our secular elites, particularly represented in the mainstream media, have treated traditional moral customs and culture is turning out to be the basis of their own demise; a new media conglomerate, rooted in nation, church, and family, is rising and in many respects eclipsing that of the secular globalist establishment. The growth of nationalist populism throughout the world indicates that in many respects, the political influence of the Religious Right is just beginning. Already we are seeing global alliances forming among conservative traditionalists to push back secularizing tendencies at home and abroad. Conservative northern Anglicans have been aligning themselves jurisdictionally with their southern counterparts in Africa and Asia to combat the secularizing of sexual norms in their church. Multi-national coalitions have been formed to block anti-traditionalist measures at the United Nations. And recently Patriarch Kirill and Pope Francis signed a historic joint statement calling for an end to the global persecution of Christians by wars in the Middle East and militant secularism in Europe. The formation of a global Religious Right coalition to combat such tendencies appears to be more and more likely as political power increasingly aligns with populist sentiments. The obituary for the Religious Right has been written and rewritten many times; this election cycle was no exception. But scholars are aware that it is a movement that is highly adaptable to changing social dynamics both domestically and abroad. The election of Donald Trump as well as the resurgence of Christianity throughout Eurasia signals that the Religious Right, rather than lying on its deathbed, may be experiencing a new birth.